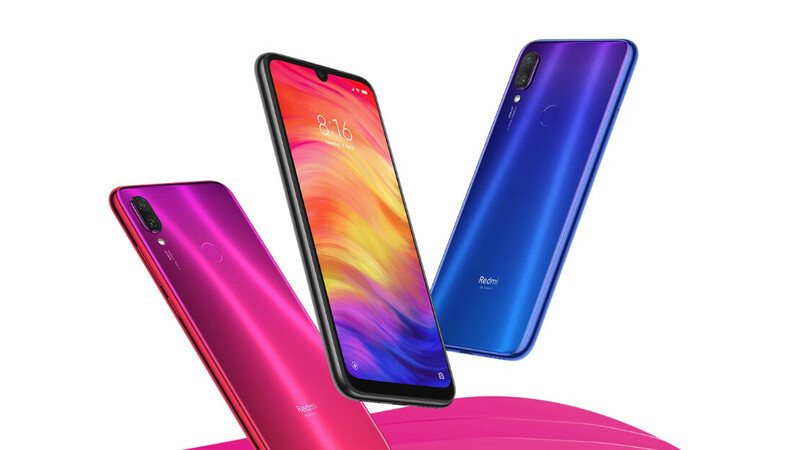 Xiaomi, the king of affordable smartphones, has just announced the Redmi Note 7 Pro, an upgraded version of the Redmi flagship. Just as promised, a month or so after the release of the Redmi Note 7, Xiaomi released the beefed-up version of the device. However, there’s a reason we clarified that it’s only the flagship of the Redmi brand, which is the more budget oriented spinoff of Xiaomi, so don’t expect a Snapdragon 855 in this phone. But what should you expect? Let’s take a look! There haven’t been any significant design changes over the Note 7, but you’d be able to tell them apart. The Note 7 Pro receives a glass back (Gorilla Glass 5) and a gradient finish, making the device look as if it’s a couple of categories higher than where its price puts it. That’s a trend we’ve been seeing recently from other brands, such as Huawei, which is awesome to see. When you’re getting something with a lower budget you’re no longer stuck with some cheap, plasticky device. Instead, you get a phone that feels as nice as those that cost 2-3 times more. But back to the Note 7 Pro! On the front, you get a 6.3-inch LCD display with a 2380x1080 resolution, also protected by Gorilla Glass 5. There’s a bit of a thicker bezel on the bottom (people have become very nitpicky about those bottom bezels) and at the top, there’s a tiny teardrop notch, exactly what you’d expect in 2019. We already mentioned the back panel’s new styling, but there’s also a couple of functional elements on it. One is, of course, the camera module, housed in a small bump in the upper left corner. The other, also unsurprisingly, is the fingerprint sensor. Overall, we doubt anyone will have critics about the body of the Note 7 Pro, as long as they remember the price segment it populates. And neither should the have complaints about the hardware because it’s equally good! Powering the Redmi Note 7 is Qualcomm’s latest upper-midrange mobile platform, the Snapdragon 675. The chipmaker states that the 675 is optimized for gaming, which means it should be handling everyday tasks with ease. To help with those, Xiaomi has decided to go with two RAM/Storage options: 4/64 and 6/128. If you’re a fan of Redmi phones that last number might surprise you. The Note 7 Pro is the first Redmi smartphone that comes with 128GB of storage, something we’re sure many users have been waiting for. Of course, you can expand that with a Micro SD card with up to 256GB. Supplying the electricity needed by all the components is a very respectable 4,000mAh battery that now supports Qualcomm’s Quick Charge 4.0. The charger that comes in the Note 7 Pro’s box won’t be able to take full advantage of the fast charging, but you can always get one that does later. If taking photos is your thing, you shouldn’t be disappointed by the Note 7 Pro’s cameras either. The rear-facing combo consists of are a 48MP one (Sony IMX586) alongside a 5MP one. The Sony sensor allows you to not only take pretty pictures but to record 4K videos at 30fps as well. The selfie camera is not too shabby either, coming at 13MP and combined with the usual software wizardry it offers face unlock. This is where the Redmi Note 7 Pro is laying the heavy punches against the competition. The base version starts at just 14,000 Rupees (around $197), while the 6/128 version will go for 17,000 Rupees, which equals to about $240. We were impressed by the price to performance ratio of the regular Note 7, but this one takes the cake! Xiaomi has really stepped up its game. As you might have guessed by the prices (and by the brand), this phone isn’t coming to the States anytime soon, at least not in an official manner. It is coming soon to India, however, where it will go on sale on March 13, just two weeks from now! We’re sure this device will be a hit on all markets where it becomes available, it’s almost impossible to beat at that price. I'll too if they bring 7 pro to my country. BTW, rip Samsung M- series. Good phone and strong contender to S10 if you're not keen on paper specifications. Hopefully, it will have tmobile LTE bands. Highly doubt it will, most amazing asian phones have been strictly catering to asian bands, to obv keep costs low. Also very few countries have the 600mhz band to begin with so Tmobile is out of luck. Holy cr*p.. If Samsung make a phone with these specs, it won't be less than $500. How about its frame, aluminium or plastic?